Learn how to create and send an email campaign in WordFly. In this article we will review the basics of creating and sending your email campaign and cover other options available for your emails. What is an email campaign in WordFly? When you send an email with WordFly, we call it an email campaign. A campaign is made up of your email template, a subscriber list and settings. Settings: The email campaign settings include your From Name, From Address, Subject line, AB testing options, and Google Analytics options. Email Template: This is the designed email you are sending in the email campaign. There will be a unique email template for every email campaign you send from WordFly. 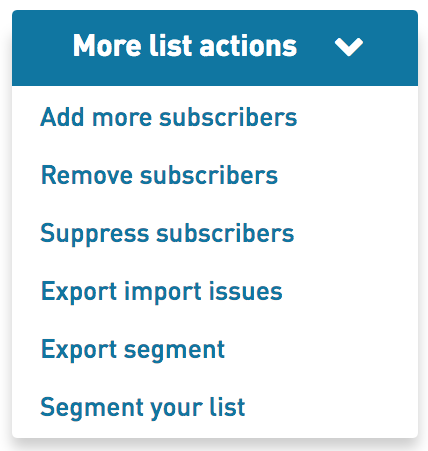 Subscriber list: Your subscriber lists are lists you have imported and sent to previously or new lists you just imported. You can re-use lists or import new lists for each email campaign. Sending an email campaign is quick and simple. Go to Email > Send an email. 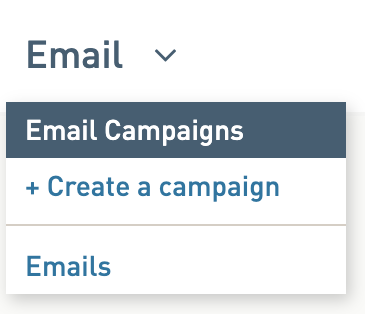 Start on the Settings tab and work your way through each tab of the campaign setup to assign your email design, assign your list, test and then select your send details. 1. Click on Email > Create a campaign. 2. On the Settings tab, fill in your email campaign name, write in a subject line, select your from name and reply-to address. Click Save when you are done. Add a subject line. Learn some ways to optimize your subject line and add symbols. Select a From name and Reply to address from the available dropdowns. If you need a new name and address, you can add this in Account > Email Settings. Assign a label to the campaign. Try AB testing by checking the I want to do A/B testing on this campaign. Personalize your subject line with a data field or dynamic tag. 3. On the Template tab, select your email design. Tip: Create a unique email design for each email campaign you send in WordFly. We do not recommend re-using email designs since changing one will change it on any email campaigns you have it assigned to. Build an email design using WordFly's editor. Click Use Modern Editor. Duplicate an existing design. Click Copy existing one. Use an existing design. Click Select an existing one. Or, copy/paste your own HTML email design. Click Use my own code. If you want to try another option after starting, just click Select a different template to the right of the email design name. 4. On the Subscribers tab, select a list of subscribers to send your email to. Do you want to use personalization like First Name, Member Level, or other unique data in your email? It is very important to map your fields during the import process if you are using personalization in your email template. Learn more about personalization in this support article: How does personalization work? Once your list is assigned, review the List Summary details. The List History section shows how your list was built over time (who imported the list and how many subscribers were not imported because of being a duplicate). The Subscribers by Top Domains section shows the top 10 domains of the subscribers in your list. This may help you decide which web-based apps to target when you design your email. The Subscriber Issues section shows the addresses who were not able to be imported. You can choose to override some of the issues or re-import failed addresses by selecting Add More Subscribers from the More List Actions dropdown. After a campaign has been sent, the numbers at the top of this page are updated to show the number of abuse complaints and opt-opts received from subscribers. Add or remove subscribers from you list. Segment your list by data fields (including preferences) or events. If you want to try another list after starting, just click Select a different list to the right of the list name. 5. On the Testing tab, test how your email looks across email clients and with personalization. Use Inbox Preview to see your email render in-app across 30+ different email clients using. 6. On the Send tab, select your send details and your email! The sending format: Multipart-MIME, HTML only, or Text only. Recommended format is Multipart-MIME. When to send your campaign: Now or In the future. Then click Send Now or Schedule Now. When you see the progress bar, you’ll know your campaign is being sent! Go to Reporting > Dashboard to open your Campaign and see the results after the campaign is finished sending. 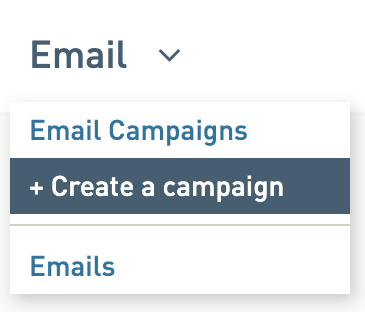 If you need to cancel a scheduled email campaign in WordFly you can do this from the Send tab of the email campaign. 2. Click on the name of your scheduled email campaign. 3. Click on the Send tab of the email campaign. 4. Click on the Cancel link towards the top of the page. The email campaign will not send. You will be able to edit any section of the email campaign again (Settings, Email Template, and Subscribers). To re-schedule the email campaign go back to the Send tab and select to send Now or In the future.